This could be our best look yet at the upcoming LG G3. On Twitter, @evleaks shared the image above after receiving it as a tip. It shows the device in black, something that we have not commonly seen compared to the white model. There are no physical buttons on the front, making it clear that LG is sticking to its guns by using on-screen buttons. 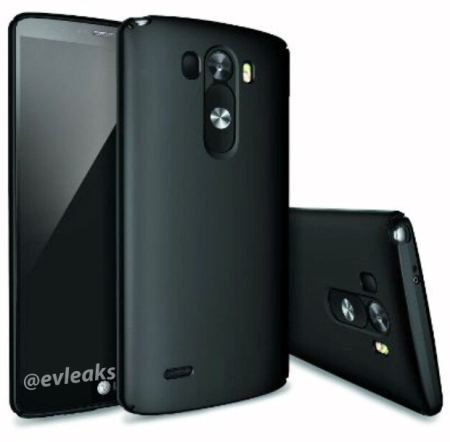 While the back of this press render shows the rear of the G3 as well, it seems like a case covering it. The spaces for the rear buttons, LED flash, and other slots are recessed compared to the rest of the back. Stay tuned for LG’s press event on May 27.